I really wanted to make my wine pick for this month one from 2010 as a toast to my daughter's sixth birthday and, luckily for me, this beauty is currently on that vintage. 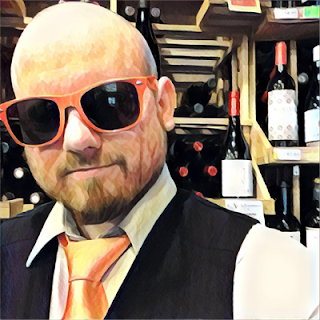 Carpineto is based in the Chianti region of Italy and they produce many different kinds of Tuscan wine, from entry level to high class. But there's really nothing that they do that isn't outstanding. Vino Nobile di Montepulciano is not at all similar to Montepulciano d'Abruzzo. The latter is out of the Tuscan DOCG region of Montepulciano and made from the Sangiovese grape, while the former is out of the southern DOC region of Abruzzo and made from the Montepulciano grape. Italy can be confusing. 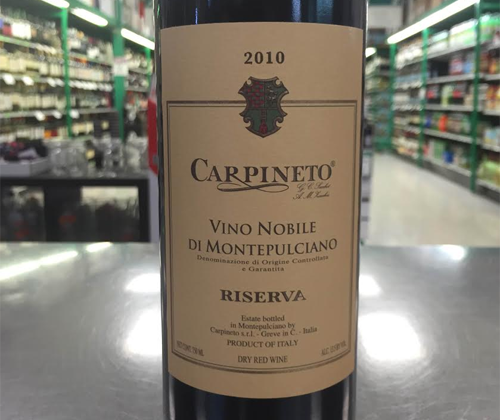 The 2010 Vino Nobile di Montepulciano has aromas of vanilla, cherries, dried spices and toasty oak. It's medium bodied with lively acidity and bitter tannin. There's flavors of tart cherry, bell pepper and oak. It finishes very dry, oaky and carrying lots of heat. This is an incredible Italian red for the price that gets even better when paired with red meat or sharp cheese.